5 Roberts, Gary Boyd, The Royal Descents of 900 Immigrants to the American Colonies, Quebec, or the United States (2 vols.) , Baltimore: Genealogical Publishing Company (2018), 375. 6 Roberts, Gary Boyd, comp., Ancestors of American Presidents , Boston: New England Historic Genealogical Society (2009), 468-470. 7 Vinton, John Adams, The Vinton Memorial Comprising A Genealogy of the Descendants of John Vinton of Lynn, 1648, Boston: S.K. Whipple and Company (1858), 308, Google Books (Digital Library). 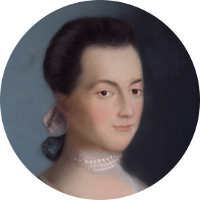 8 Wikipedia, "Abigail Adams", (accessed 02/26/2010). 9 Wilson, Daniel Munro and Charles Francis Adams, John Quincy, Master of Mount Wollaston; Provincial Statesman; Colonel of the Suffolk Regiment . . ., Boston: Geo. H Ellis Co. (1909), 73.